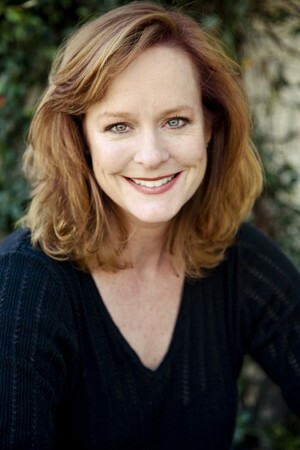 At the age of 10, Mary McDonough was cast as Erin Walton in The Homecoming, the movie of the week that inspired the Emmy award-winning dramatic series The Waltons and overnight her life as a normal kid in a working class family changed. 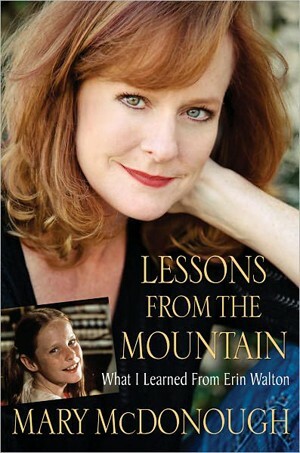 In McDonough’s poignant memoir, Lessons from the Mountain: What I Learned from Erin Walton, the actress shares intimate, behind-the-scenes memories of Will Geer, Richard Thomas, her two “moms,” Patricia Neal and Michael Learned, and all the other Walton cast, crew, and guest stars. After the series ended, McDonough details how she tried to reinvent herself with artificial help (silicone breast implants) and almost died. Over a period of 10 years her health deteriorated. Following the birth of her daughter, Sydnee, McDonough’s health went up and down and she had flu-like symptoms for years. After seeing doctor after doctor she was finally diagnosed with Lupus, a connective tissue disease that affects the immune system. Following her diagnosis, McDonough went on to become Founding President of Lupus LA and has for more than 14 years been a citizen activist for women’s issues. 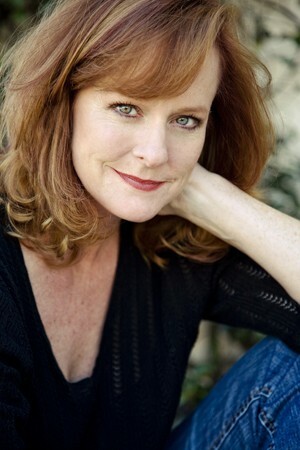 Other television credits include The New Adventures of Old Christine, Christmas at Cadillac Jack’s (TV movie), Boston Legal, Will & Grace, The West Wing, The Division, Walker, Texas Ranger, Ally McBeal, ER, A Walton Easter (TV movie), A Walton Wedding (TV movie), A Walton Thanksgiving Reunion (TV movie), Mother’s Day on Walton’s Mountain (TV movie), and A Wedding on Walton’s Mountain (TV movie). Melissa Parker (Smashing Interviews Magazine): Mary how is your health? Mary McDonough: My health is actually good thank you. My Lupus is in remission. It’s something that I deal with every day. I still have a lot of inflammation and that sort of thing, but it’s good. I’m healthier than I’ve been in a long time. Melissa Parker (Smashing Interviews Magazine): Great. I found the book both informative and entertaining. Melissa Parker (Smashing Interviews Magazine): I hope that women especially take the time to read the book. Mary McDonough: I hope the word really gets out about it being a woman’s book, not just a “Walton’s” book. I was watching The Today Show recently and they had a whole report about how women in the their 30s and 40s are having an increased number of anorexia and bulimia. Melissa Parker (Smashing Interviews Magazine): Yes, it seems to all go back to image issues. You had the silicone implants right after The Waltons ended because you were told you were not “large” enough for other acting roles. But these issues began for you during the run of the series. Mary McDonough: Oh yeah. I would never have made such a stupid choice had I not already had self esteem issues and body image issues already in place. I was always trying to fit in, trying to fit into the costumes, the beauty pageant stuff, the everything that had happened, you know? And of course it started way before that with my second grade teacher, trying to fit in and be perfect. Melissa Parker (Smashing Interviews Magazine): You began on television at 10, an age usually right before puberty when you’re also vulnerable to these issues so that didn’t help the situation. Mary McDonough: No, not at all (laughs). It was kind of a wild world to be thrown into. Melissa Parker (Smashing Interviews Magazine): You speak in the book about the personal appearances during the series and how there was no publicist to prepare you. That had to add to the angst you were already feeling. Mary McDonough: Yeah and my total fear, the fear of something that was new and unknown. It wasn’t so much of, “Oh, I couldn’t do anything new,” but it was being constantly put into situations where I didn’t know what was expected of me, but I had this pressure that I had to do it perfectly even though I didn’t know what I was doing. That’s why I refer to it in the book as, “I’m walking the plank all of the time.” I was terrified to make mistakes. Melissa Parker (Smashing Interviews Magazine): Mary, what happened to you physically after you received the silicone implants? Mary McDonough: Well, within 24 hours I broke out into a rash all over my back and my chest and the doctor said, “Oh, it’s the bra we put you in.” And of course we know now that implants are severely manipulated to get them into your chest and we know that when implants are manipulated that silicone seeps through them. So I probably had that allergic reaction immediately thinking back on it. But over the course of the 10 years I just couldn’t put my finger on that. I just didn’t feel right. The chronic fatigue set in, the rashes, the rash across my nose and the bridge of my face which we now know is like a Lupus rash, the joint pain, the muscle stiffness, eventually being diagnosed with Fibromyalgia, and then the collagen disorder called Sjogren’s Syndrome, my hair fell out and I would be tired all of the time. Of course, everybody kept saying, “Well you’re crazy. You’re depressed. Go to therapy!” So it was 10 years of being undiagnosed and finally I got to the point where I was in so much pain I couldn’t even lift my daughter. Melissa Parker (Smashing Interviews Magazine): You suffered a great deal after you gave birth and your daughter, Sydnee, suffered some of the same symptoms when she was little. How is she now? Mary McDonough: She is doing okay. She has her challenges. It’s very tough, but she’s finishing up her first year in college. So onward and upward, just taking it slow. She has shown some interest in acting, but I think she realizes how hard it is and she wants to be a nurse. I think she wants to help people with all of the medical challenges that she had in her life. She really sees that she wants to change the medical profession to make it help people and be more efficient. Melissa Parker (Smashing Interviews Magazine): Do you still believe that the silicone breast implants (or the leakage) caused you to get Lupus? Mary McDonough: I do. There are people that will say I’m crazy, but since the manufacturers still have not come up with their long-term data I think it’s highly suspect. I think it’s like peanut butter. If you’re allergic it can kill you, same with a bee sting. I think that there are so many chemicals and all kinds of different concoctions that were put into the implants that I really believe that if anybody was going to have an allergic reaction, it was going to be the Irish girl who’s so sensitive to things anyway (laughs). I do believe if you have a bunch of chemicals and you have silicone leaking out of an implant (mine actually ended up disintegrating) it’s going into your body. That was one of the things the FDA asked for in the studies that the manufacturers still haven’t turned in. They said, “We don’t know what silicone does or what happens when it reaches certain parts of the body.” And we still don’t know. So I feel that it did trigger the immune response. Melissa Parker (Smashing Interviews Magazine): Even if a woman has them removed, if the leakage has already occurred they would still have to deal with the physical health implications. Mary McDonough: I have. I’ve been detoxing for years. I’ve had weird things pulled out of my body. The silicone trace is like a snail’s trace so you can’t really get all of that out. It’s in there. Women need to know now about, of course, that they have to have them replaced every 9 or 10 years. They don’t last a lifetime like they told me and that’s expensive. A woman can also lose her health insurance or coverage because of implants and women have been denied coverage where an implant is involved. Also they need to know about this new lymphoma issue that the FDA has released. I’m sure if the FDA has released something on it, there has to be more. Melissa Parker (Smashing Interviews Magazine): Talk show host Jenny Jones was one of the first women to go public about implants and their issues back in 1992. Mary McDonough: Yeah, she had several surgeries. Melissa Parker (Smashing Interviews Magazine): Jenny founded the Image Foundation which provided women information and support. Other than through the book, how are you spreading the word about your experience? Mary McDonough: I’m a public speaker and I lead workshops. One is called Body Branding, Getting Comfortable with the Skin You’re in. I speak to young girls, women, and even men. I’m finding a lot of men are writing me about the perfection issues and how the book relates to them as well. I lead the workshops and I talk about it and address girl’s groups and just try to help people to be not as frightened and scared as I was. I’m also a coach so I work with people one on one as well. Melissa Parker (Smashing Interviews Magazine): What do you say to women who are considering surgeries as a solution to image issues? Mary McDonough: The first thing I say is know why you’re doing it and what your expectations are. If you’re expecting it to change your life or help your career or boost your self esteem, I would say to take another look at what esteem you need to boost and what’s missing inside of you that makes you feel like you want to add something to yourself. Then address that issue inside. Really go inside and deal with why that desire is present in the first place. The other thing I say is get educated. Read that 80-page pamphlet of what your rights are and what rights are taken away when you sign it. Also know the risks. Ask what the implications are and don’t just trust your doctor. Go on the FDA website. Go everywhere and know what your risks are. There’s so much information available now that wasn’t available when I made the choice. Know that you’re going to have to have repeat surgeries and you’re going to have to pay for those for the rest of your life. Can you afford $5,000-$10,000 every 8-10 years? Melissa Parker (Smashing Interviews Magazine): You say in the book that you had two families: one on the set and one off the set. Despite the image and self-esteem issues, that must’ve been a fun place for a child to work. Mary McDonough: Oh it was. You know, there are good times and bad times with everything and I wanted in the book to share the really good memories and good times on the set; the special fond memories of each cast member as well as the behind the scenes antics. We did have a lot of fun and we’re still very close and it’s a wonderful thing to be part of. Melissa Parker (Smashing Interviews Magazine): Michael Learned told me that Will Geer was possibly the biggest cutup and that he loved to moon people. Mary McDonough: Oh yeah he did (laughs). Melissa Parker (Smashing Interviews Magazine): What are some of your funniest memories? Mary McDonough: The funniest one I think is Richard with the sponge and he and John Ritter trying to crack each other up. Also our gag reels with Richard and Will mooning. Two funny ones were Ralph dumping all of these biscuits into Richard’s plate and Michael making this salad and just suddenly tossing it into the air screaming (laughs). Mary McDonough: I don’t watch the show. You know, I didn’t watch it while I was writing the book because I wanted to write it from my memory of it and I thought that watching it would trigger memories, but Richard Thomas recently told me that I needed to watch it (laughs). Melissa Parker (Smashing Interviews Magazine): I would think that after so many years it would become surreal to you. Melissa Parker (Smashing Interviews Magazine): Have you seen the cast recently? Mary McDonough: Oh yeah, Michael, Ralph, and all of the kids came to my book signing in LA. Melissa Parker (Smashing Interviews Magazine): Do you attend the reunions in Schuyler, Virginia? Mary McDonough: I was just there in Schuyler signing books and about 200 people showed up at the Bed & Breakfast, the little country store there. I will also be there in October. 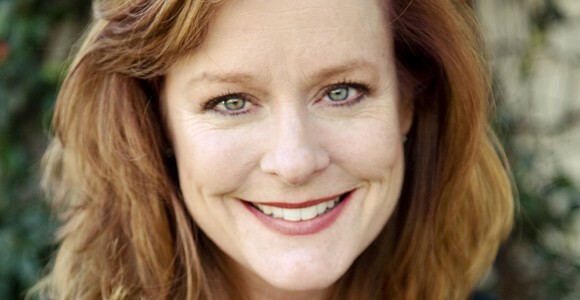 Melissa Parker (Smashing Interviews Magazine): Are you doing any acting now? Mary McDonough: I was on The New Adventures of Old Christine and I did Christmas at Cadillac Jack’s which was on at Christmastime. I also just finished a movie called Lake Effects in Virginia. Melissa Parker (Smashing Interviews Magazine): Yes with Jane Seymour. Will that be on the big screen? Mary McDonough: I’m not sure. They just finished the postproduction on it and I don’t know where they will sell it. Melissa Parker (Smashing Interviews Magazine): What is the main lesson you learned from the mountain, Mary? Mary McDonough: To really appreciate everything you have in your life while you’re in it and not to look back and say, “I wish I had been this or that or I wish that I had appreciated my hair.” So every day I always count my blessings instead of sheep. Melissa Parker (Smashing Interviews Magazine): You just celebrated a milestone birthday. Was that a time of life reflection for you? Mary McDonough: It was, especially with the book coming out just before I turned 50. It seemed like a great time to kind of reflect and go back and learn about coming out the other side of many serious issues. It has really been great to look back and say, “Wow, how did I come through? And that’s what people are asking for in the next book, “Could you please tell us how?” So I may focus on that a little bit more. Melissa Parker (Smashing Interviews Magazine): Yes, how you survived everything. Mary McDonough: More lessons from the mountain (laughs). With Flawed Research, kickbacks, and no accountability why bother to regulate at all! We pay for research, higher medical costs because of poor doctors, manufacturers and drug companies getting away with murder, and many from the FDA who contienue to let these abuses continue and government wants to handle our medical insurance? No thank you…and what catagory do TMJ Implant survivors fit into? No one wants to claim us! We can only be truly informed if we have honest and truthful research so we can make a wise decision, after all we are the end consumer! Bought and read your book. I was very excited but found very little information in the book other than a very insecure young woman complaining about a very competitive industry. Sorry Mary, I really wanted to like your book but you glanced over many interesting facts about your cast mates that are so public they were presented on Wikipedia. I found no deep insights and the editorial errors like using “perks” that are in fact “perquisites” was annoying for a woman that was promoting her intellect instead of her beauty. I am so glad things worked out for her and she isn’t a criminal or junkie perhaps I have sunk so low in the media that I might have found that interesting. It bothered me that she openly talked about smoking in the book and went on about how she was never informed about the long term effects of silicone implants, while she never paid attention to the warnings about smoking? I have never written a book and do not know how hard that is, and I was never a child performer and do not know how hard that was but I do know how hard it was to finish this book. Good luck to you Mary, I hope your next book is more insightful.